The Cozoy TAKT Pro is a simple and elegant solution for those wanting quality audio playback whilst on the go, commuting and about town. 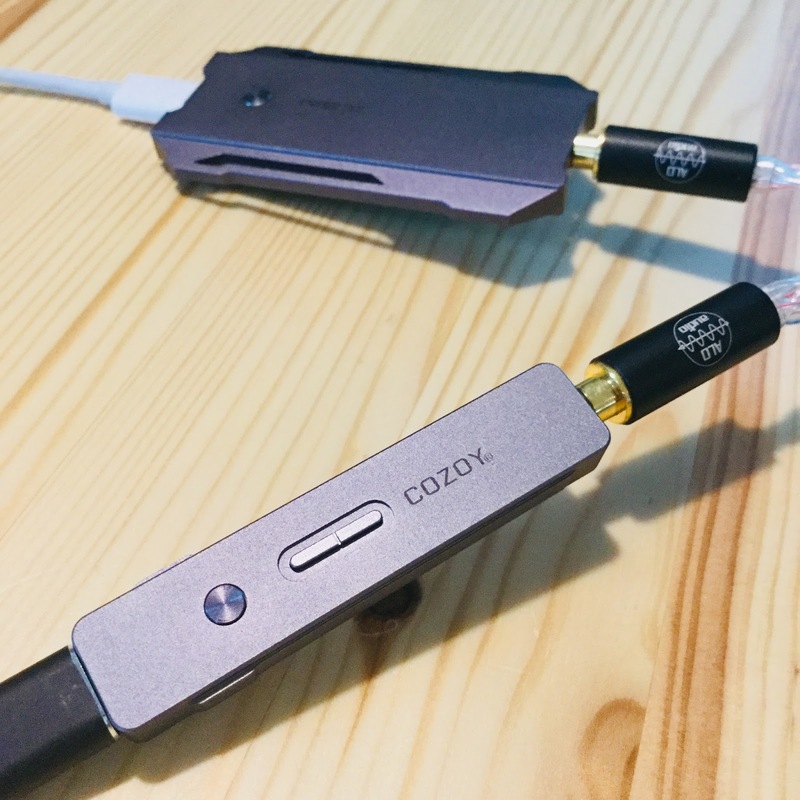 Stylish in its form and stunning in its sound quality it will turn your smart phone, tablet or computer into an mid-fi audiophile system. 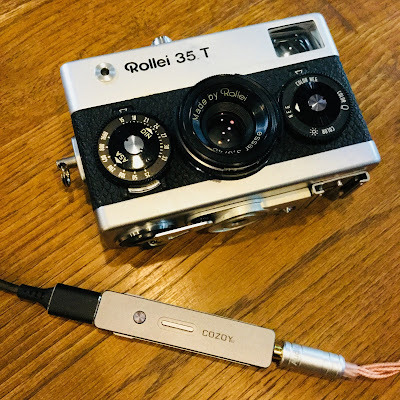 Note : COZOY TAKT PRO temporarily does not support iPhone 8/8Plus/X, but can be supported by using the camera kit cable . 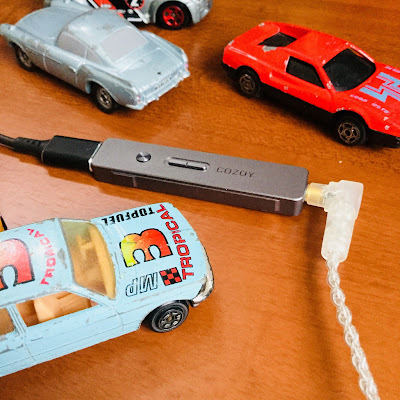 Each set of TAKT pro includes Lighting (including genuine Apple transmission chip), USB and Micro USB OTG wire, support iOS, Android and a variety of USB platform. TakT Pro has a signal-to-noise ratio of up to 120dB and a low delay of 80ms, install the ASIO Driver, then compatible with a variety of DAW and fine tuning. 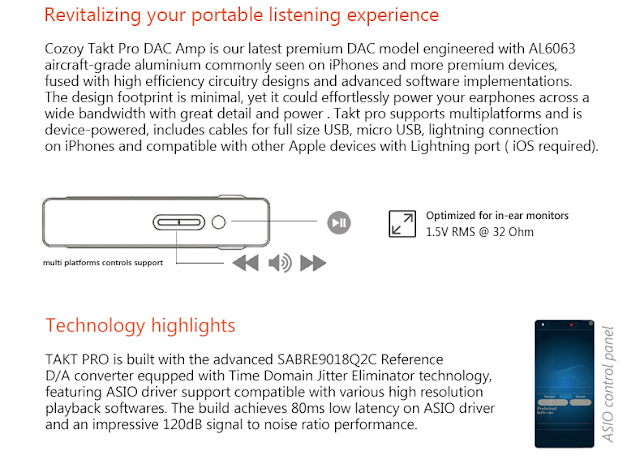 TAKT PRO uses the SABRE9018Q2C reference level D / A converter, the chip uses advanced 40-QFN package, built-in Time Domain Jitter Eliminator technology. The 32-Bit HyperStream architecture native supports 32-bit 384kHz PCM signals and up to DSD-11.2MHz signal processing. 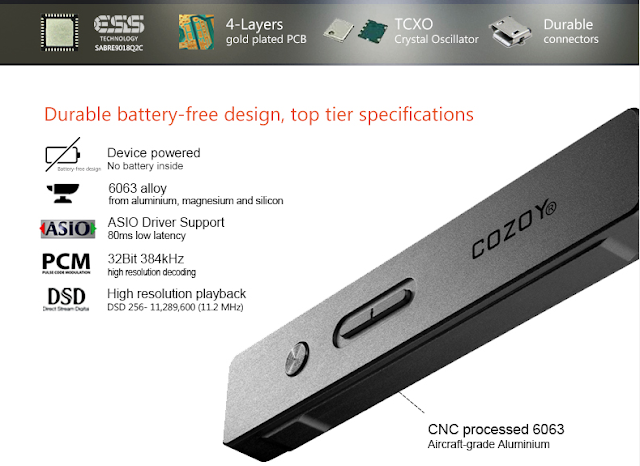 If you have followed the progress of Cozoy products you will know that they build on the previous experience of the earlier products and improve with each new offering. From the Astrapi, Aegis, TAKT, REI and now to the TAKT Pro. The Astrapi and Aegis had their short comings, I didn`t listen to the first TAKT but did review the Cozoy Rei. And I really thought it was an excellent sounding product. On to the TAKT Pro. 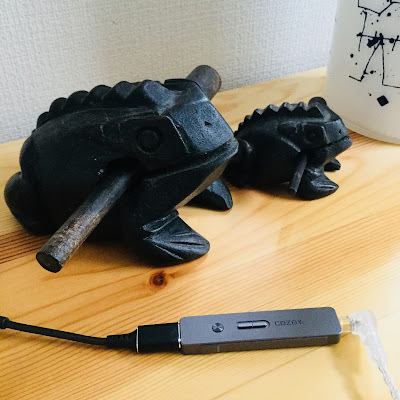 I really like its smaller form, a dongle of sorts. 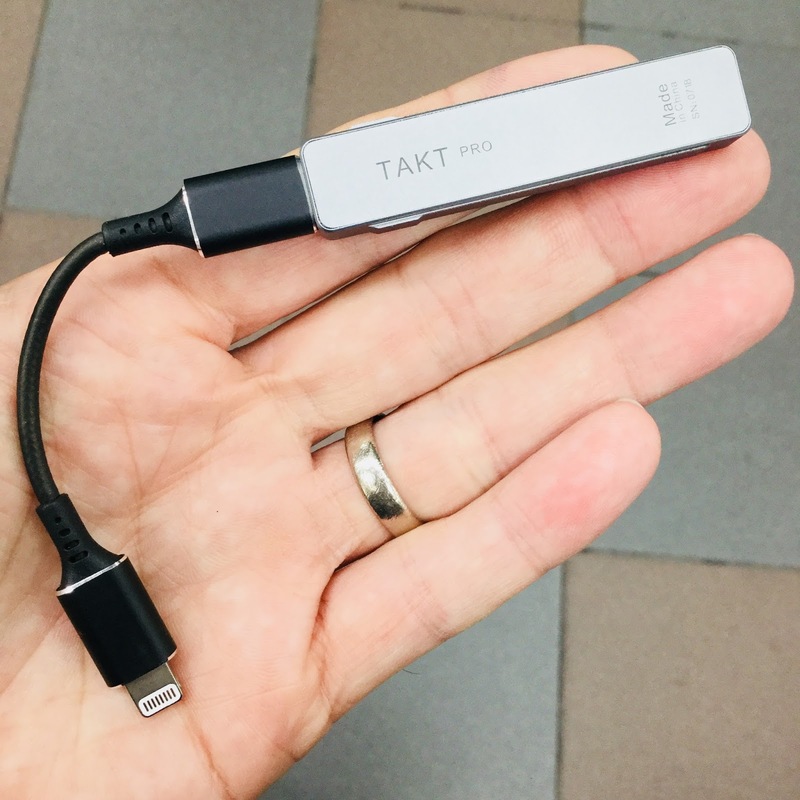 The TAKT Pro is an excellent solution for those on the go. Its close cousin is the Cozoy REI, whilst it doesnt outperform the REI it comes very close. The Cozoy REI is more refined, with a definition at all volumes, smooth and detailed. The TAKT Pro coming in at a smaller price point has more body, whilst certainly not lacking in treble and space it is not as expansive as the REI. The main difference that is noticeable and this goes for many players or dac/amps as you you up the scale is layering, coherency and control. Vocals are lush and sweet, a bit forward at times, nice deep lows that are full with depth, treble has a decent extension and the mids can have a slight rise compared to the bass. When I swapped the lightning cable i did notice some overall improvement in control, resolution and micro details. I have found the same with other dac/amps also using the REI cable. Imaging is average, sound stage is just above medium. Instrument separation is acceptable. Overall it has nice body to it, a bit of warmth at times, enough treble but not its defining feature. 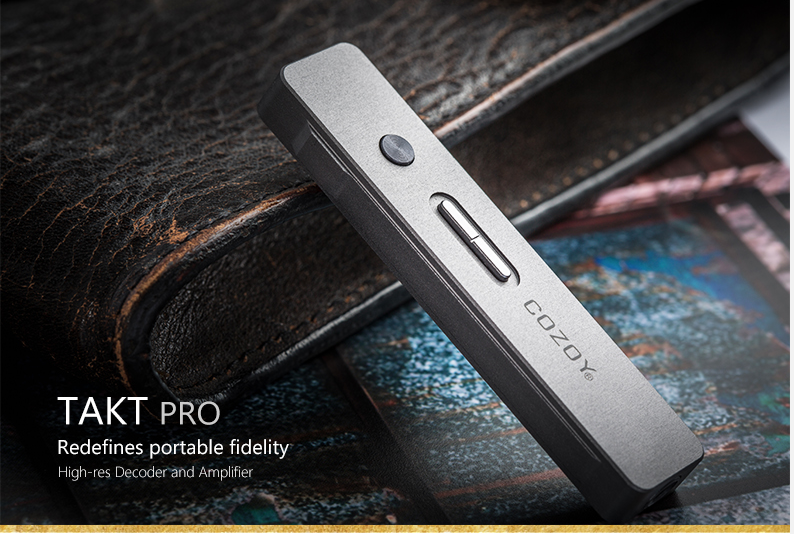 The Cozoy TAKT pro is an easy to use plug and play dac/amp to use on the go or at home. 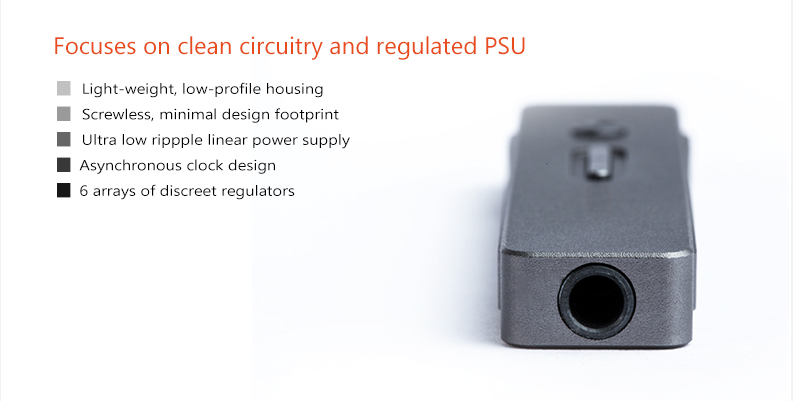 It is small and lightweight and easy to carry in a pocket or bag. 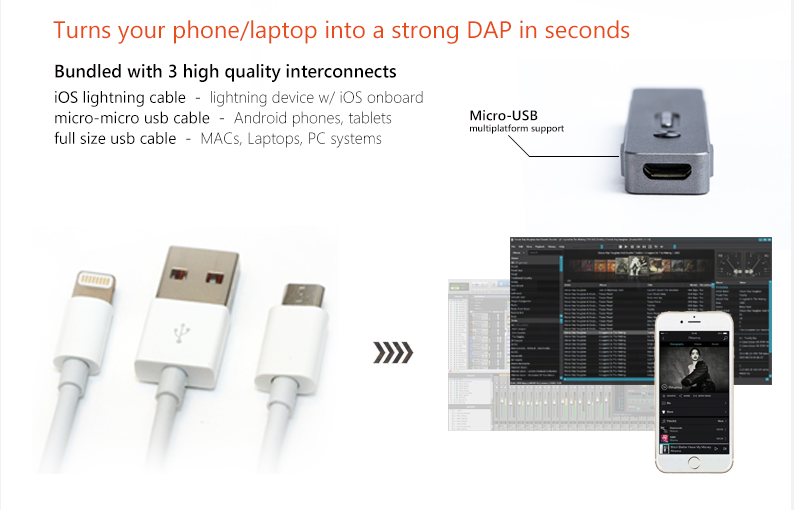 The TAKT Pro comes with a variety of cables Lighting to micro USB cable, Micro-micro USB cable, and a Micro USB-USB cable. It has oodles of power, I was at around 50% on my ipod touch and I like it loud. Whilst not as refined as the Cozoy REI. the TAKT Pro has more body. 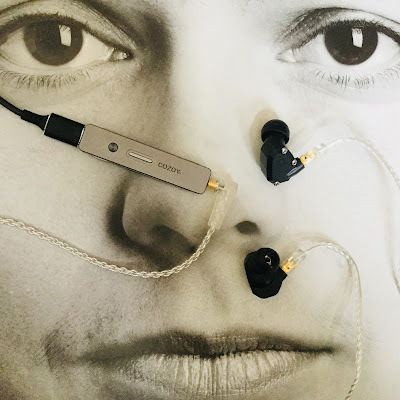 It is warm due the more forward mids, has an above medium sound stage, instrument separation is decent and resolution can be track dependent but overall satisfies. Its not to say its a poor performer, it isnt. It does its job well. But when I have choice between the two I`d pick up the REI. Yet remembering the gulf in the price between the two. 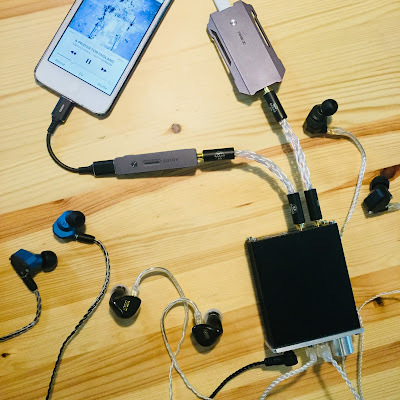 Although the TAKT Pro benefited by using the REI stock cables and the distance between them closed quite considerably. 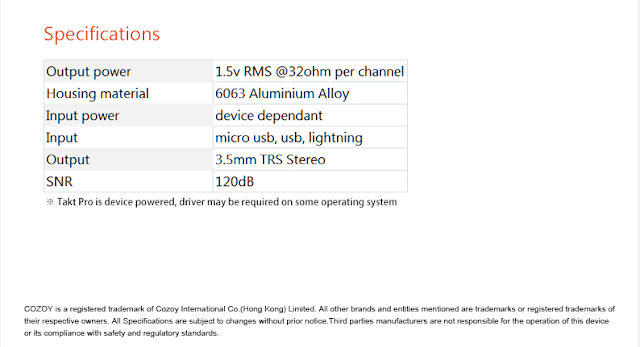 The TAKT Pro spec wise has the highest technical specs in its class by quite a margin. Its dynamic range is very satisfying. If you want to improve the sound of your smart phone the TAKT pro is a step in the right direction. 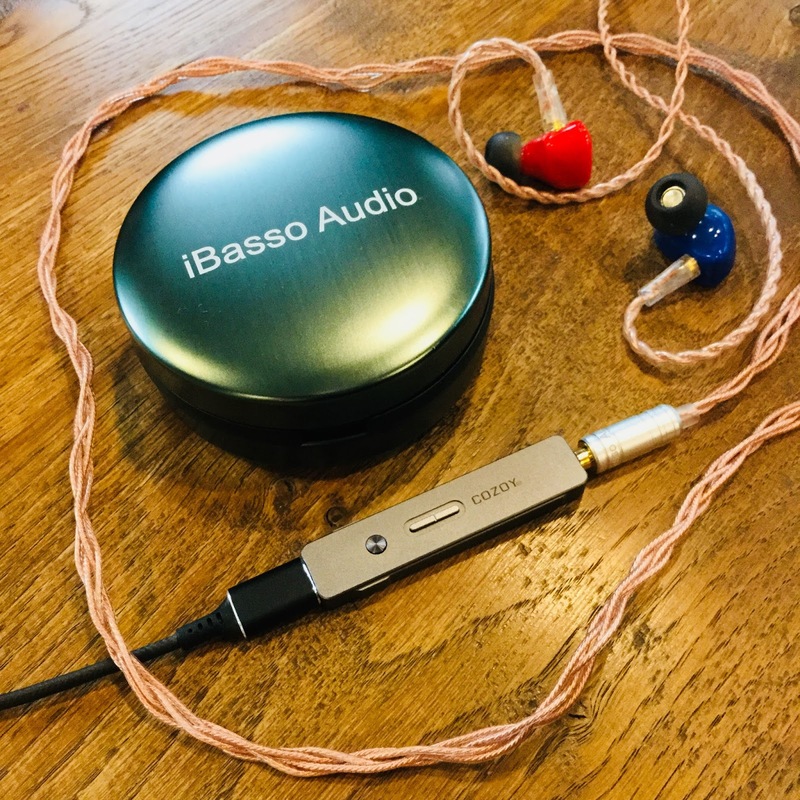 Its warmth, depth and body with a decent bass, air and enough treble to please, the TAKT pro could be for you.